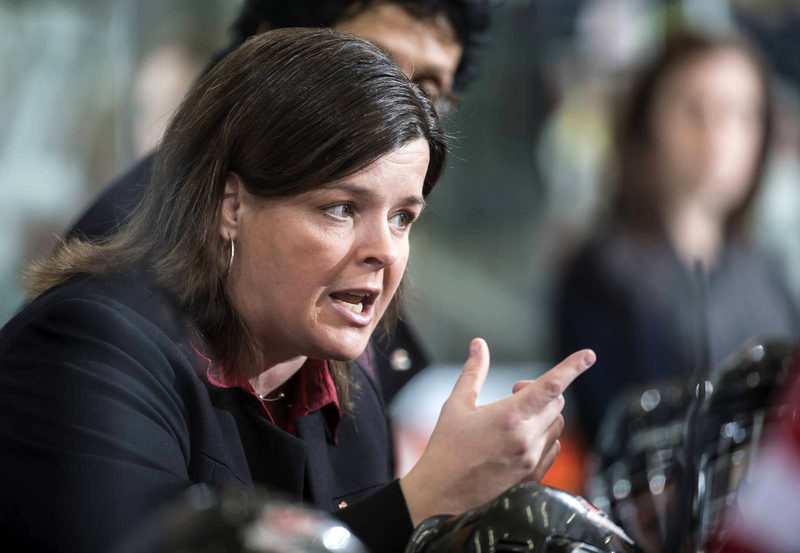 Lisa Haley started her coaching career with the Saint Mary’s Huskies women’s team before becoming the first ever Women’s hockey coach in Ryerson’s Rams history on April 1 2011. She has been involved with Hockey Canada for the past ten years and has won numerous medals in different championships including both Olympic and IIHF events. Her most recent feat was as an Assistant Coach of the 2014 Canadian National Women’s team that won the Gold medal in Sochi. Currently Lisa has a son playing with the George Bell organization in the North York Hockey League. Lisa was kind enough to share her experiences including the Sochi games with us. The NYHL sends a sincere thanks to Lisa for her time! Read her Face to Face interview with NYHL below! What minor sport/sports were you active in as a youth? Soccer and basketball through schools, hockey and fast pitch in Minor sports leagues. When I was playing fast pitch for Nova Scotia and we won the Eastern Canadian Championships. What did you like best about minor sports? I played on both male and female teams. I enjoyed the competitiveness of the boy’s teams when I was a young child. The female teams also became extremely competitive as I moved into my teenage years and I really loved the overall camaraderie aspect of playing on those female teams. What did you like least about minor sports? That we parents take it way too seriously sometimes. My parents never played sports as kids, but allowed us to play as kids. Sometimes I think it helped that they didn’t know much about the rules or tactics because they just sat back and watched us play, without too many criticisms and pressure. What was the best lesson you learned from taking part in minor sports? Sports teaches you responsibility and accountability. It teaches you how to prepare yourself and to understand your role within a team concept. I experienced both scenarios of being the best player on the team with all the pressure to perform, and also as a â€œrole playerâ€ who did not play equal minutes to others on the team and that taught me a completely different set of values and how to put my teams best interest ahead of my own. Do you still apply that lesson today? For sure. I coach in competitive environments for both Ryerson and Team Canada, and so these are key attributes for any player in these leagues. How did you get into coaching and where did you begin? When I couldn’t play anymore I was working as an athletic therapist for Saint Mary’s University. They wanted to start up a women’s hockey program and asked if I would coach. How long have you been with the Canadian Women’s National team? I have been involved with Hockey Canada for 10 years. I started with the U22 team in my first 3-4 years, then mainly with the National Team since 2008, except for 1 year with U18’s where we won the World Championships in 2010. What did you like best about the 2014 Olympic Games in Sochi? Obviously winning the Gold medal. A memorable moment for me is the reaction of Marie-Philip Poulin when she scored the game winning goal in overtime. It was like she was in disbelief. She was extremely humble after that goal. I think our entire nation is for the most part very humble. With all the adversity surrounding the Women’s team leading up to the games, what do you think allowed the team to persevere and win the Gold? Our preparation was very rigorous. We train not only physically, but also psychologically for the entire year leading up to the games, so when it comes time for the games we are prepared for anything. We played 53 games leading up to the Olympic games mainly against major midget teams in Alberta, and of course 7 games against the USA; so we’ve had experience in every possible situation heading into that final game. Who is the best female hockey player that you have ever seen play? Hard to pick just one. I’d say Marie Philip Poulin and Hayley Wickenheiser. With all the discussions around the security measures that were taken, did you feel unsafe or threatened at all while in Russia? My impression of Russia was completely different after the games. Everything was well organized and everybody was so friendly. There were drones in the sky and military ships in the ports. It really felt like we were in the safest place in the world. Why do you think sports play an important role in a child’s life? If facilitated properly sport teaches young people about having courage and to challenge yourself to be the best you can be. What advice can you give kids today in regards to being involved? As I mentioned above, have the courage and the confidence to challenge yourself to be the best you can be. What is the best advice you can pass along to parents on how to approach their children’s involvement in sports? Keep perspective on what it is all about. Always remember to support your child and not to harm them. Thanks to Lisa Haley for her time! We’ve had Face to Face chats with all sorts of cool people! Read all of our interviews.